Last week I attended the media preview session of Harry Potter and the Half Blood Prince (HP6) at IMAX Darling Harbour. I was 1st in the queue and got the best seat in the top back row. If paying for a premium movie experience like this you don’t want to enter the cinema late and be seated in the front rows where the seats are too close to the screen. The first 12 minutes of Harry Potter and the Half Blood Prince were displayed in 3D but weren’t very impressive. In comparison the preceding trailer for Disney’s “A Christmas Carol 3D” blew me away. It looked dark, edgy and Jim Carrey plays the character role – I predict it will be a huge hit and can’t wait to see it. 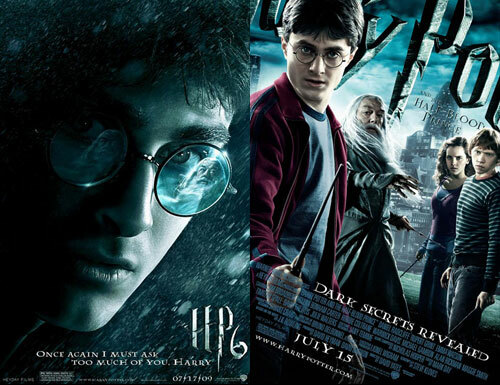 HP6 is the 6th installment in the series and has several parallel plotlines including dark forces gathering in strength, moody teenage students in love and Harry’s attempts to befriend Professor Slughorn (played brilliantly by Jim Broadbent) to find out more about Tom Riddle’s actions while studying at Hogwarts. I feared that the run time of 2 1/2 hours was too long but the film kept my interest throughout and I was quite surprised at how quickly the ending was wrapped up. All in all there were fewer racy action scenes than I expected as the director opted for a “gathering storm” slower paced buildup to the 2 Harry Potter and the Deathly Hallows films which will be released in 2010 and 2011 respectively. “Slower and talkier than the five Potters that came before – but not necessarily in a bad way – Half-Blood Prince is a bubbling cauldron of hormonal angst, rife with romance and heartbreak, jealousy and longing. This sixth chapter is a darker, more ominous Harry Potter film, with a conclusion that suggests more alarmingly the deep dangers Harry and his friends have gotten themselves into. I admired this Harry Potter. It opens and closes well, and has wondrous art design and cinematography as always, only more so. The middle passages spin their wheels somewhat, hurrying about to establish events and places not absolutely essential but those scenes may be especially valued by devoted students of the Potter saga.